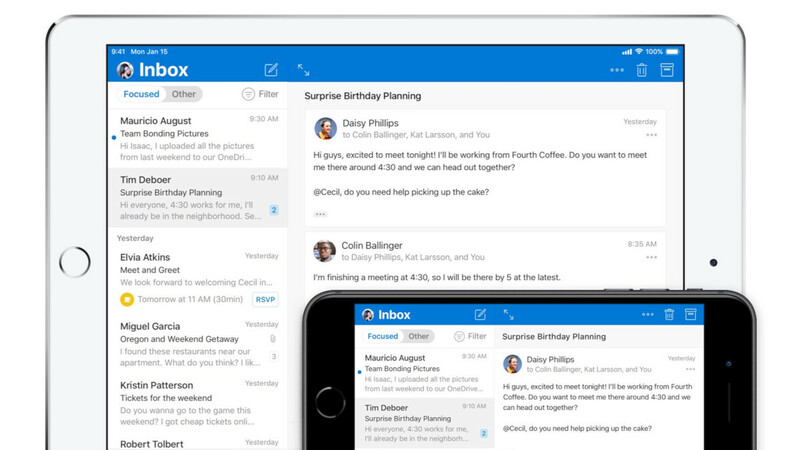 Last month Microsoft revealed that its Outlook app for iOS will receive a major redesign, but failed to mention when exactly the new app will be made available to users. The new design was only available to beta testers since December, but starting today, Microsoft is rolling it out to everyone. The visual changes are quite obvious, as Outlook for iOS now features an all-white design. A blue bar at the top of the app allows users to switch between Focused and Other emails inside the Inbox, which, as Microsoft said, was part of Android. The new design comes with new animations and gestures as well. Also, Outlook for iOS includes avatars in the main inbox, enabling users to find emails from contacts much easier. The calendar section has been redesigned as well so that you can slide an event until you find a time window that works for everyone. The update is available on both iPhone and iPad devices, but you'll have to download the latest version of Outlook from the App Store. Why can't the ugly android version get an overhaul?? I didn't know that it was new, I have had this for a while now.